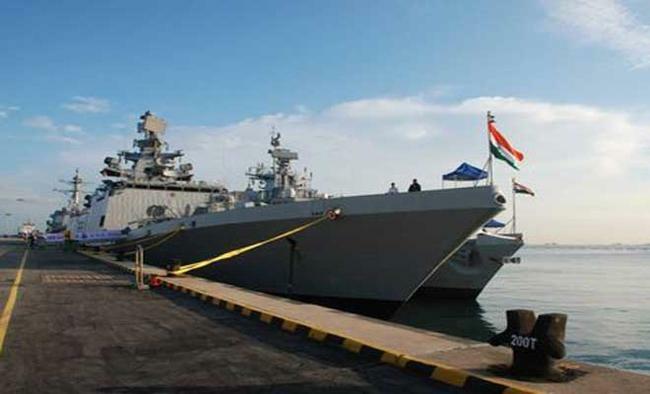 New Delhi: The common Indian citizens will get a chance to visit the Indian Naval ships on April 13 and April 15 at Chennai Port during the DefExpo India, an official release said on Tuesday. The ships will be open for the public from 8 a.m. to 5 p.m. at the Chennai Port Trust. The interested visitors will have to assemble at the Island Exhibition Ground from where shuttle bus services will be run by the Indian Navy to take the visitors to the ships iand back. The entry to the ships will be subject to strict security checks and children aged below five years won't be allowed. The visitors will be required to carry original valid identity proofs along with a photocopy for deposit as part of security checks, the release said. "Hand baggage, camera, water bottles, umbrellas, sticks etc. are not permitted and photography is prohibited," it said.